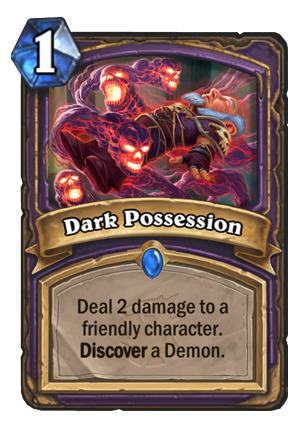 Dark Possession is a 1 Mana Cost Rare Warlock Spell card from the The Witchwood set! Deal 2 damage to a friendly character. Discover a Demon. Wanted on three counts of gnomish possession. This card looks pretty promising. First of all, it’s another card you can self-damage yourself with for the sake of Lesser Amethyst Spellstone, as well as the new damage yourself synergies. Then, you can use it to pop the Possessed Lackey. While Dark Pact is often a better way to do that, sometimes you don’t really need healing and another Demon in your hand could be good. 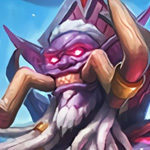 I’ve heard that a semi-random Demon might pollute your Bloodreaver Gul'dan resurrection pool.. and while yes, a random Demon will most likely be worse than Voidlord or Doomguard, keep in mind that you usually already have a bunch of 1/3 Taunts in your resurrect pool, so getting let’s say a 3/5 Taunt instead of one is going to be a nice upside. Not to mention that thanks to the Discover, you have a quite solid chance to get something big – there aren’t THAT many Demons. Soup And Salad is a hero. So satisfying to see him speak the truth to everyone complaining about giving cubelock more op cards. We’re looking out for cubelock they said. And I believed them. What a fool I have been. I mean, unless they literally meant they were thinking aboit nerfing the cube itself. Which, I mean, would definitely make the deck weaker. Maybe they made this so the deck could live on once they nerfed the cube into obscurity. It’s cute, but Cube Warlock wasn’t exactly begging for more Possessed Lackey enablers or extra draw. In my 300+ games experience with the deck at higher ranks, two Sacrifice enablers is enough and Giest is still floating around. Maybe if Dark Pact gets bumped up to two mana, then this might see play. Granted, the demons you get to choose from will often be ones you won’t want to play anyway. 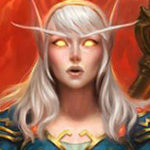 Dark Pact is still better since the 8 healing will typically matter more than a semi-random demon you’ll likely not want to revive with Gil’dan. Wow. Wow wow wow. Hit your face to enable masochist cards. Hit your Lackey to draw out a Demon. 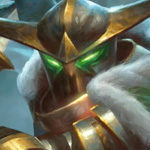 Discover Voidlord, or Doomguard, or Abyssal Enforcer, or Flame Imp. This is not only a powerful card, but a beautifully designed one. Honestly, it may be one of my favourite cards the Hearthstone team has ever created, it asks so many questions. So elegant and clean. Are you talking about this or Dark Pact? Most of the questions you could bring up have already been answered with Pact floating around Standard for the last three months, and the healing it offers is typically better than the card this offers. He’s talking about the fact that this card can damage your hero to enable cards that require you to take damage. I suppose so. It might see play naturally in Zoo Warlock as a result but only as an enabler for Dusk Bat. With the new op demons released in KnC, this card is amazing for being one mana. However I don’t see it working with most cubelock decks though, since they don’t have any fodder minions bsides librarian. onvm, misread the card and thought it applied only if u damaged your minions. yeah, this card is op. It’s another way to kill possessed lackey on turn 6 to summon a demon from your deck while getting a demon in your hand out of it as well. You honestly rarely need more enablers for Lackey or draw with my experience with the deck, and putting in more tools against aggro will result in better outcomes since Mistress of Mixtures is leaving standard. I was simply pointing out that there is a minion played in cubelock that is a perfect target for this spell if you were to run it. I like the effect that it’s not standard to your own face, perhaps it could be used for a positive use such as eggs, but that seems a bit farfetched so beside that idea pretty good value, still useful to combi with the “is you took damage this turn” cards. If Dark Pact gets nerfed, this will be used instead to activate Lackey. With the potential of discovering another Doomguard or Void Daddy. 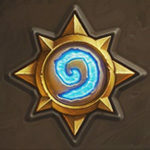 Why are we making Cubelock stronger, Blizzard? 4/5 due to power level, but I hate to see this card printed. You already have Dark Pact, which heals and can also enable Cube. Also, if playing this becomes standard too Giest will probably pop up a lot more often than it already does. Not really since this can’t save you from a beatdown anywhere near as well as Dark Pact can. Unless one of your options is a Voidlord and you already have Skull of the Man’ari set up, I doubt this will see play along side Dark Pact.